Kaduna State Governor, Mallam Nasir el-Rufai has described the suspended Chief Justice of Nigeria (CJN), Justice Walter Onnoghen, as a “shameless judge” who had demonstrated that he was no longer fit to continue in office. 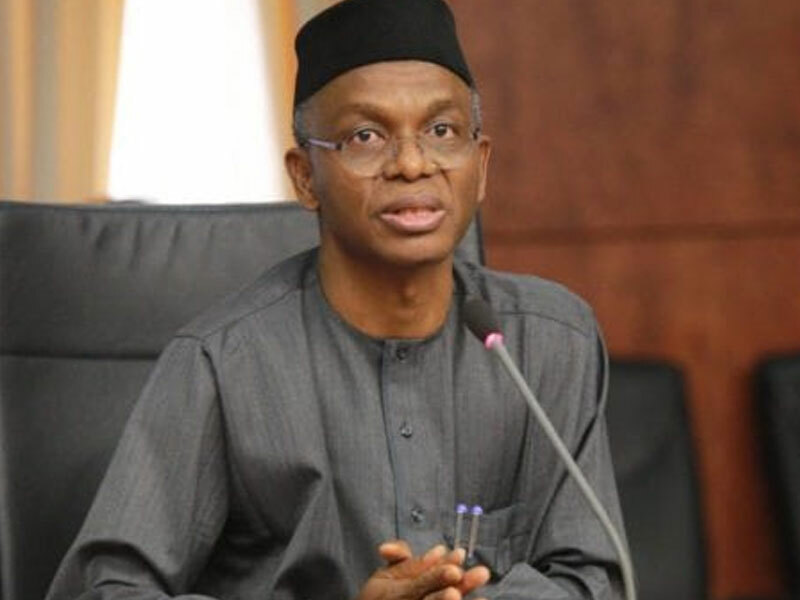 Addressing hundreds of protesters who stormed the Government House, Kaduna, on Friday in solidarity with President Muhammadu Buhari who suspended Onnoghen from office, over allegations of corruption, el-Rufai said the time had come for every well-meaning Nigerian to support Buhari in his fight against corruption. Quoting Othman Dan Fodio, the founder of Sokoto Caliphate, the governor said corruption in the judiciary was the worst form of corruption and no society could survive it. According to the governor, the case with Justice Onnoghen is a very sad one. He said: “Othman Dan Fodio, the founder of the Sokoto caliphate wrote that the worst form of corruption you can find in any public servant is judicial corruption because when the president is corrupt or the governor is corrupt, it is to the judge that ordinary people can take their case to. “It is what is done in every organised and civilised society. Unfortunately, some people in Nigeria are trying to make white black and black, white. They are using technicalities to delay bringing this man to Justice. “Mr. President did not remove Onnoghen from office. He said in honour of the judiciary, he should step aside so that the charges against him can be investigated and prosecuted. But the man is shameless he does not want to go, but it is time for Nigerians to come all out and tell him he must go. “Our judiciary must be clean. Our judiciary must consist of judges who cannot be bought” the governor said. Speaking earlier, spokesman of the protesters, Abdulrauf Abdullahi said the protest was organised in recognition of the competence and integrity of the President.